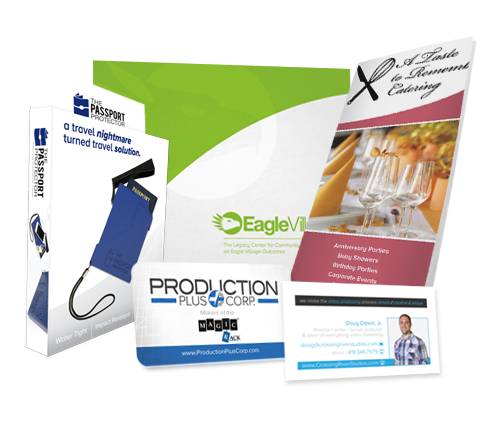 Marketing materials designed to set you apart from your competition. Our designs can be put on any medium, so we’ve labeled our graphic design services as “Print Design.” This includes business cards, brochures, letterhead, displays and virtually any printed marketing materials. All of our print design work is carefully crafted to represent your brand and set you apart from your competition. Our print designs are vector which means they can be scaled from a business card to a billboard if need be. We also help all of our clients out with printing! We have several printers locally and nationally that we partner with to provide the best quality and timely print orders. If you already have a printer and just need the design, no problem! We work with our clients no matter the situation.